Looking for a fun holiday project for the kids? This year, the National Park Service is teaming up with Google’s Made with Code learning initiative to give kids – especially young girls – the ability to program a tree at the White House from the comfort of home. Starting today, December 2, girls can visit Google’s Made with Code website (madewithcode.com) to code their own design for one of the 56 different state and territory trees on display at President’s Park outside the White House. Kids can select different colors for the lights, shapes and movement patterns using the impossible-to-mess-up Blockly coding language for beginners. 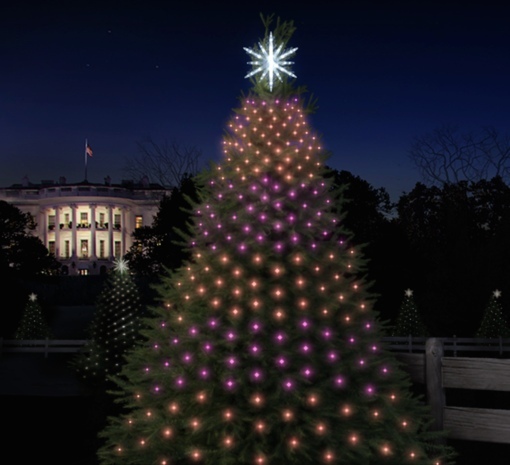 The trees will be showcased during the lighting of the National Christmas Tree on December 4 and available for viewing all through the season in Washington, D.C.
Once your kids master programming their own trees, they can use their newfound coding skills to tackle other holiday-themed projects available. Intermediate students can create their own snowflake, choose from different animation schemes and background colors. Each small adjustment helps kids learn more about how coding works, and finished snowflakes can be saved and shared on social media sites like Facebook. Google’s Made with Code initiative launched in June 2014 as a way to get more girls interested in computer programming and coding and build skills for future careers in the sciences. Beyond housing these types of simple projects, the Made with Code site can help connect interested girls with experts, mentors and programming workshops in your area. For more information, visit www.madewithcode.com. Millions of them have the chance to explore the white house but it is an additional attraction to the view.